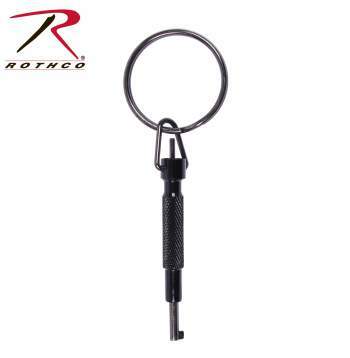 Rothco's 3" Swivel Handcuff Key is a black cylinder swivel handcuff key on a split ring. 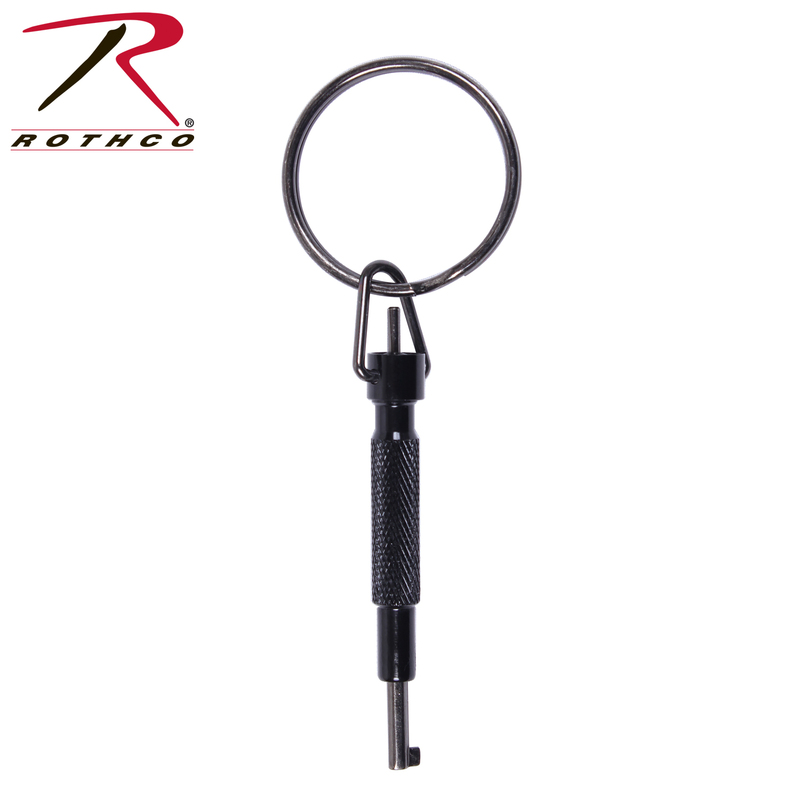 The aluminum key features a textured hand for easy grip. Convenient item for law enforcement, security, or public safety officer.